No this isn’t about chiseled men and conquering kingdoms. It’s about resolutions! Last year, I made a few resolutions that I wanted to accomplish through 2009. I can proudly say that I accomplished at least one of them last weekend with this post which was my 300th Macheesmo post of the year! It’s kind of hard to believe that I’ve published that many posts this year. I can honestly say that I’ve learned a lot and still have a ginormous list of recipes and posts that I can’t wait to try. I’ll probably make some similar goals in 2010 which I’ll post closer to the new year. I might take off a day or two over the next few weeks because I’m going to be out of town for most of the time, but no doubt that you can continue to expect fairly frequent posts throughout the next year. Have a good weekend everyone and if you’re traveling, good luck! LOVE that idea of the cookies/desserts for your wedding. Wish I would have thought of that 5 years ago. But we did have a fantastic cake that resembled something our of a Dr. Seuss book. I will never forget it. 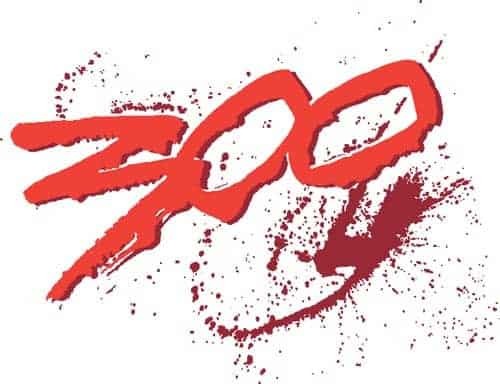 Good job on making it to 300 posts. I've done a third of that in a little over three years! Thanks for the love. I'm excited for 2010! Congratulations. Know how I celebrated my 300th? With 301. I remember the first time I went to a wedding in Western PA and saw a cookie table. It’s intense and awesome! Congratulations on Macheesmo, and I hope 2010 is even better.